It’s a long weekend and it’s pouring with rain in Sydney so I thought I’d share with you some of my favourite sights from the week. BLANKETS AT THE CAFE. How cosy would that be? 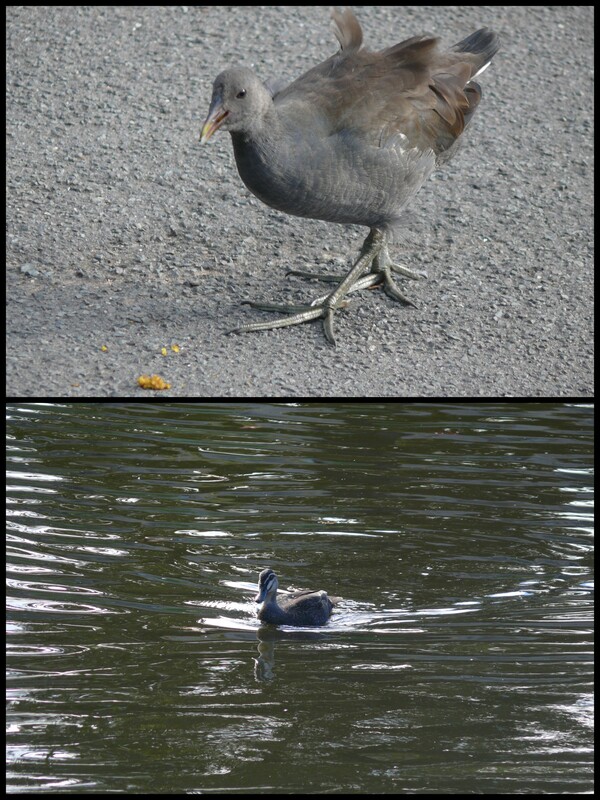 BUBBY MOORHEN AND SWIMMING DUCK. You should have seen how fast that duck swam. I’m sure he had motors on his legs. 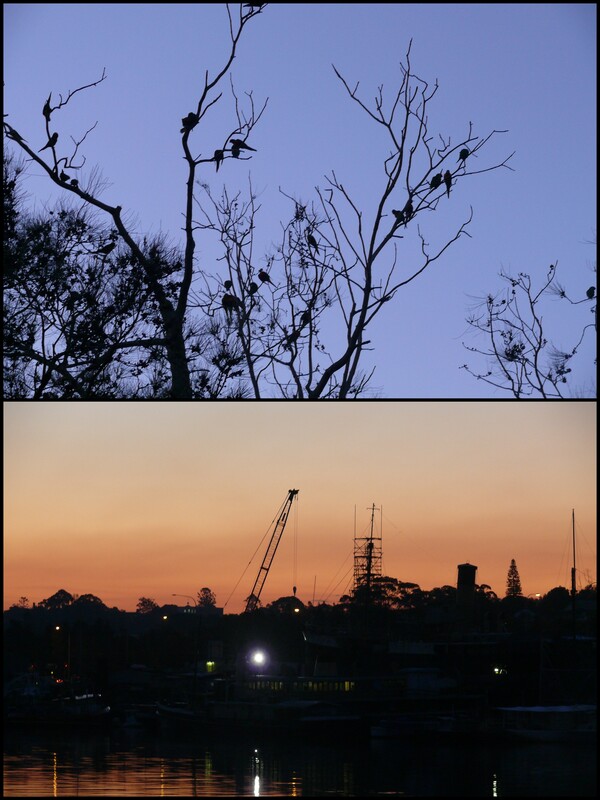 RAINBOW LORIKEETS IN THE TREES AT SUNSET/CRANES AT SUNSET. TOTEM AT VICTORIA PARK. There’s something mysterious and otherworldly about it, don’t you think? Hope you’re having a good Monday wherever you are. Lovely photos … but most of all I would have to say the blankets at the cafe have completely captivated me … that would be fabulous on a cool morning. What a thoughtful thing to offer. Hi TRACEY, it’s a great idea, isn’t it? It’s been really cold here over the past few weeks so it’d be lovely to sit there and sip a latte. Wonder if they also provide fluffy sox…..
Hi TRAVELRAT, I’m just sorry I couldn’t get a shot of the rain falling in sheets. Think I got the shutter speed wrong. It was like a waterfall! Wonderful photo’s, and like Susannah, I loved the leaf one. It’s a pity you had such bad weather for the long weekend. 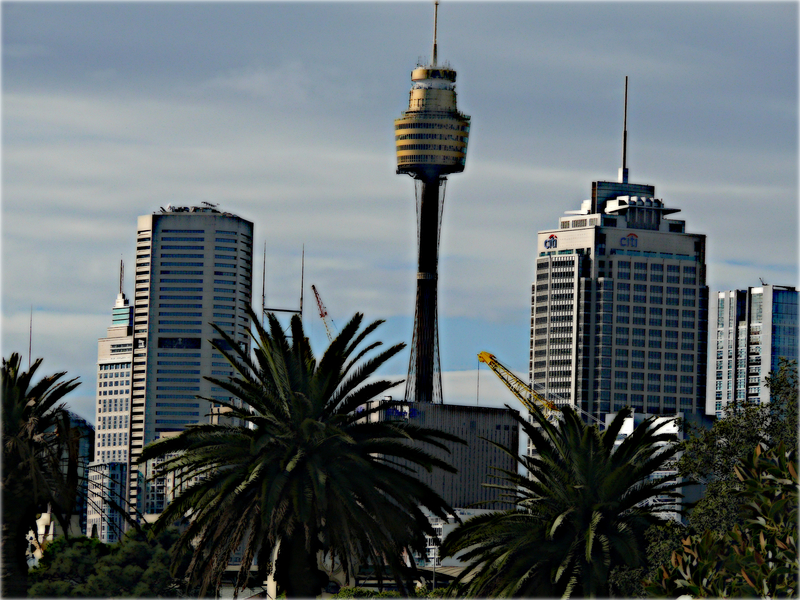 We didn’t have much better up here in Brisbane either although we only had light rain, but it has been extremely cold. We had our coldest day in 11 years the other day. Lovely photos. It’s funny because I was recently at an outdoor restuarant where they supplied blankets just like that. The first time I’d ever seen it before. Great photos. Wish I were there. Wonderful series of photos Selma – I think there has been a lot of raining all over Australia – though we were lucky to get some sun yesterday for the Queen’s birthday. I really love the leaves in the rain photo – that sums up your blog I feel (the contrasts of colourful happy leaves among the sadder things of life) – and love the ‘cranes at sunset’ (like they are the birds – haha – I am easily amused 😉 ). 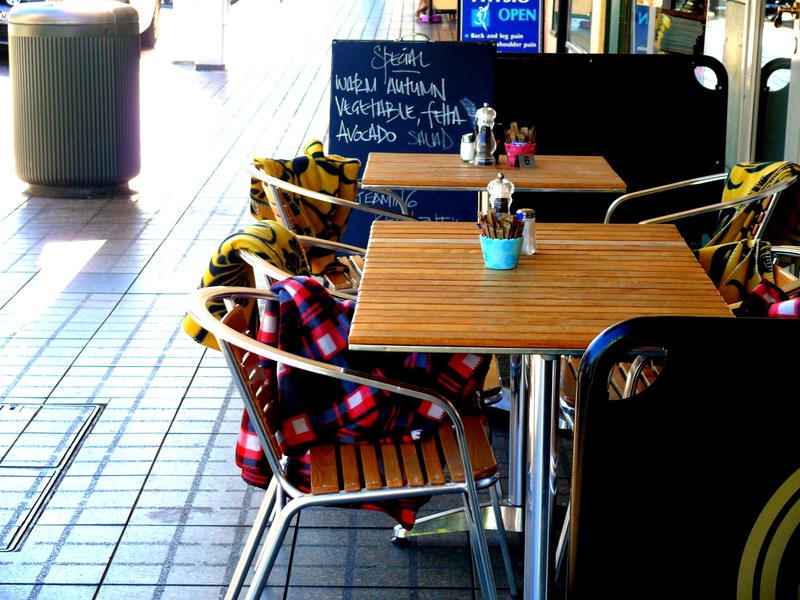 Blankets at the cafe – great idea – my friends and I used to take blankets to school with us years ago and wrap ithem around our legs (the teachers never seemed to mind – we had very thin uniforms that were freezing in winter). Hi SUSANNAH, I like the leaves too. They are like a little story waiting to be told. It is amazing what sights you see when you get out and about. I always find something special! Hi DEBORAH, That was turbo duck. So cute. He got out of the water and followed me around the pond. I think he thought he was a dog. Haha. 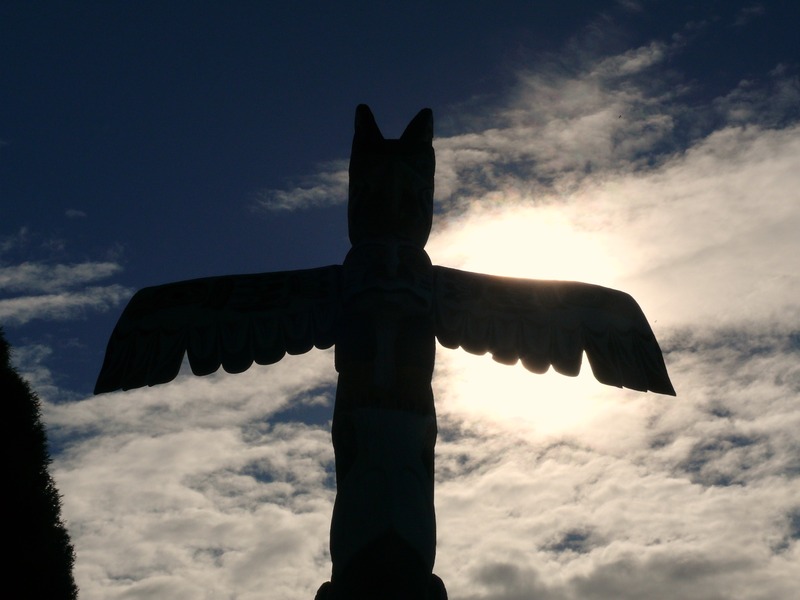 Hi MAGS, I love that totem pole too, especially against a darkening sky. I really feel the urge to break into song when I see it. It is quite a powerful piece. The rain wasn’t too bad. We do need it in Sydney. I do wish, though, that people were more careful on the wet roads. I saw so many accidents. They drive like maniacs. Hi GABRIELLE, I thought that about the cranes too. There is something bird-like about them. I am really touched you think that about my blog because that’s what I was striving for. Thanks so much, hon!!! Hey Selma, great images … I love the idea of the blankets at the cafe, too! and I really love a rainy day, glad you went out to take photos to share. Now if they only provided ugg boots as well I would definitely park at that cafe for the day. I wonder how many of those blankets go walkabout. 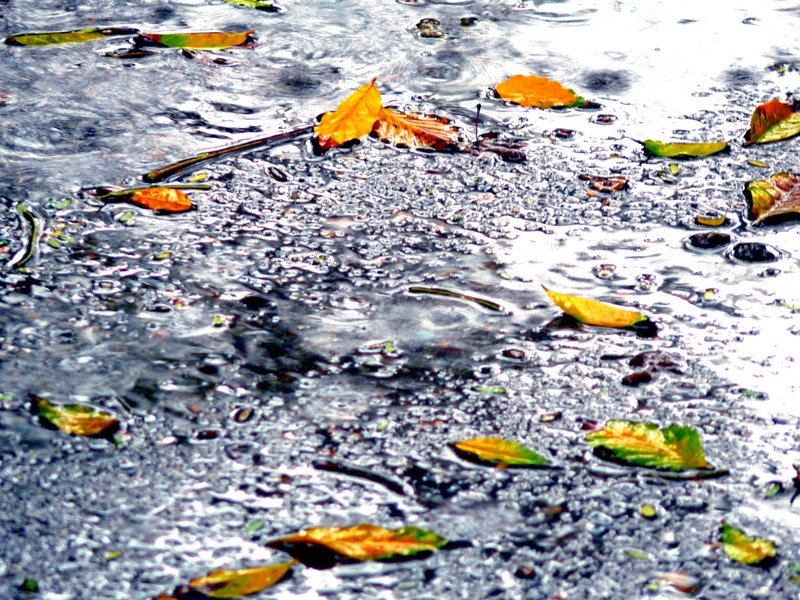 Love those rainy leaves Sel…very pretty. Two extremes – the totem pole in the dusk – eerie; and the leaves – quite cheerful despite the rain. Love them both. Actually I love rain photo’s. HI SUSAN, the blankets really are a lovely idea and let’s face it we all need a little cosy moment from time to time. I love a rainy day too. There is so much to see. Hi GYPSY, love the uggies. Nothing warms the tootsies more. i am sure many of those blankets find other homes (if you know what I mean….) Haha. Hi ADEEYOYO, they are two extremes, aren’t they? I am fond of the totem pole. It’s as if a spell is about to be cast. So glad I got that shot! HI CATHY, taking photos really cheer me up. I am working on improving my technique and would like some additional lenses and so on because I really have fun with it. If I’m in a bad mood and I go out and take some photos I feel better in about 5 minutes. It makes me focus on the outside world and really take notice. And when you go digital you don’t need to pay for film or developing so it’s cheaper than Prozac. WIN! Just lovely. My fav is that totem pole. I Like the totem pole too. It is very striking against the sky!